Tibu Comics is a page on Instagram which is grabbing eyeballs for the past year. 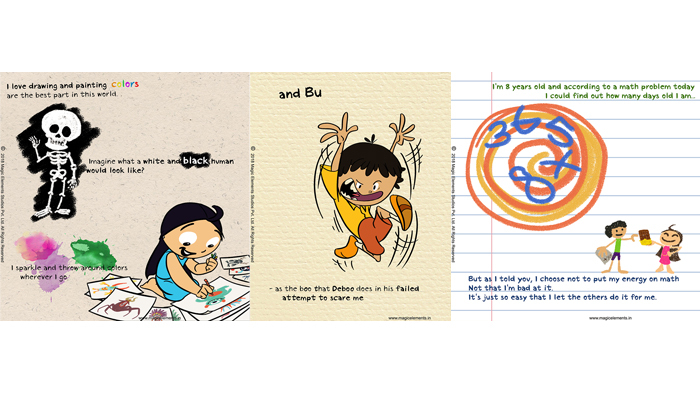 The protagonist, Tibu, is fun, naughty, sweet, and smart, just like any other kid in every household. She is all that any person as a kid would have loved to be, imaginative, expressive and loveable. Created by Magic Elements Studios, Tibu Comics landed on Instagram keeping in mind the direct and clear delivery of content to keep the audience engaged. “Before any thought it was only an emotion to express imagination in my own way. From there it evolved into a character for many years where it was nurtured. Just Tibu’s articulation into the current avatar took some time,” says Magic Elements Studios founder and creative director Nikhil Salvi. The team planned on using Instagram as the platform to generate some feedback initially, and very quickly saw a greater potential from Tibu than they have ever imagined. She reminds people of their own childhood, which helped in spreading the word quickly and she getting accepted as one of their own. “We are seeing Tibu in a whole new light, realising that it is not just a comic for a particular age group but the material from which we could produce an entire media franchise,” adds Salvi. 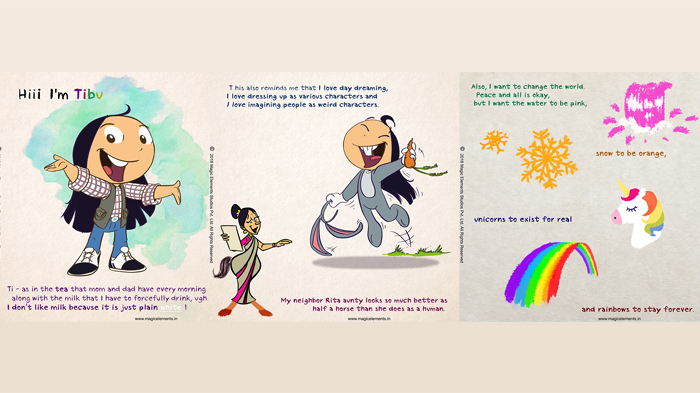 Though the comics are meant for an age group of 13 plus, the comments received on the posts come from a younger audience compared to inbox messages from a wider age group. And keeping the age factor aside, everyone who is nostalgic about his/her childhood or is going through the same situations, loved Tibu. “We receive positive feedback about Tibu constantly, many messages telling us things like “She is me” or “She is just like my sister” or “I like the way Tibu handles herself when someone calls her fat” and also the generic ones like “your comics are awesome”,” comments Salvi gladly. What brings joy to Salvi, is the fact that apart from the smiles Tibu is bringing on many faces, she is also encouraging people to pursue art as a career. He is glad to inform that Tibu has started connecting to her audience. The cute and relatable illustrations we all enjoy are done by Salvi himself. They are hand drawn through a pen tablet using the software Adobe Photoshop is then digitally executed, whereas the content is curated by a team of writers. 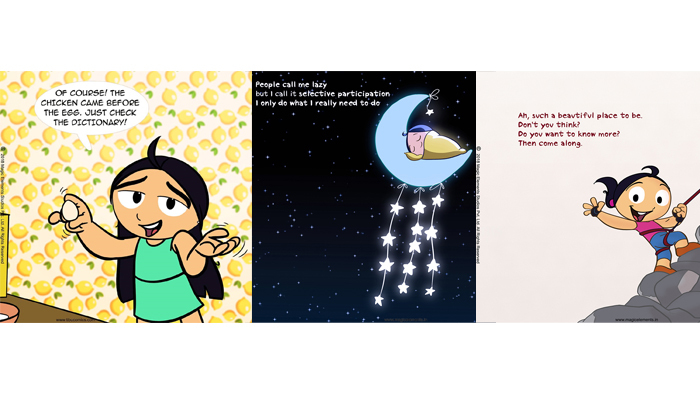 When asked about the inspiration behind Tibu’s everyday comics, Salvi replies,” These are all stories based on daily life everyone encounters as a child. Many of these come from my own childhood memories when i started drawing, reading superheroes comic books, or watching cartoons. Salvi’s love for the Disney cartoons that appeared on Doordarshan while he was a kid penetrated the passion for art into him. The same trait seeped into his character, Tibu! These characteristics helped him create a world around her. 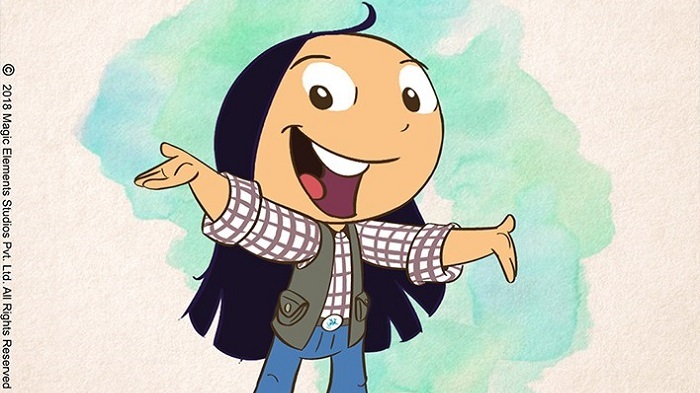 The character description states Tibu as an average eight year old girl staying in a suburb of a big city of India; creating many possibilities for stories and new characters which can enter into her space. The team is planning to take one step at a time starting with Instagram, where the response is excellent by far. “We plan to start with the animated series based on the comic stories. For now we are planning on creating them in 2D, as it will reflect the comics on Instagram,” comments Salvi. There are further plans of approaching television channels apart from OTT platforms. We hope Tibu keeps bringing joy to us everyday. Happy Birthday Tibu!